The Milan Bed frame is a traditional wooden bed with a modern twist. 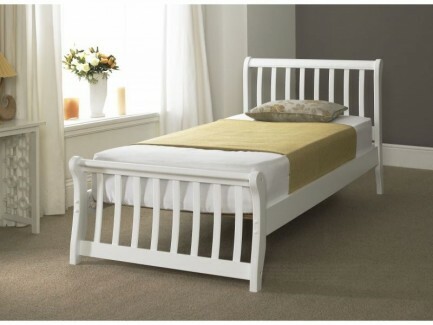 A shaker style bed with a slatted headboard and low foot end. Its smooth curves makes it look flawless and attractive. This bed will look stunning in both the modern and traditional home. The Milan Bed is constructed from from first grade rubber wood and finished in white, this bed is very attractive, as well as being solid, secure and safe.